The Mount Isa Water Board is looking to explain a $5 million decline in profits from the past financial year. 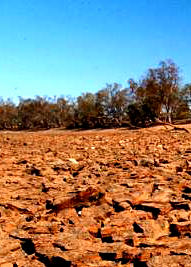 The rural Queensland water body says drought would be the obvious driver. The Mount Isa Water Board has handed its annual report to the State Parliament, which shows that its profit after tax dropped from $5 million in the 2012/2013 financial year to just $400,000 last financial year. Chief executive Greg Stevens says a recent price review has killed profits, and an ongoing drought has greatly cut demand. The board also pointed to extra filtration to remove high levels of blue-green algae as a well for potential profits. But it says with significant cash holdings and net assets of around $100 million, there is no risk of financial issues in the short-term at least.